I am developing an application to improve vocabulary. You will enter in this application the words you learned. Then, this application asks you randomly. For this, i need to establish the workspace. The workspace will become Symfony 4 on Docker Compose. It dependent Nginx, Php-Fpm and Mysql containers. 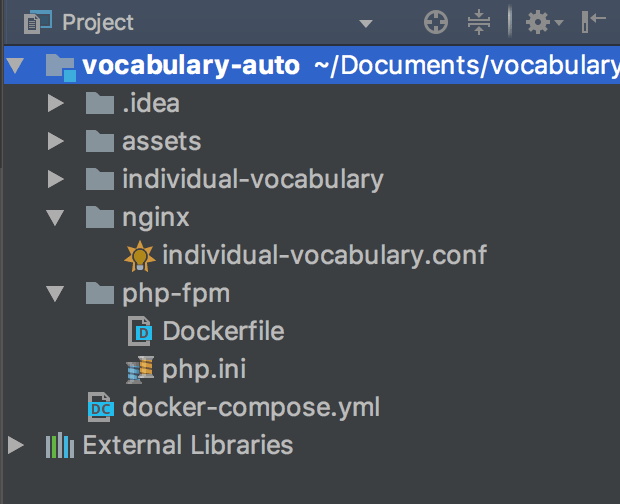 Firstly, i will adjust docker-compose.yml file. Mysql is simple and pure. Nginx and Php-fpm are establishing interested with their files. Project structure is like this. The following lines mean docker.compose.yml file. I need a Nginx configuration file. I defined as below. Well, right now we must configure Dockerfile for Php-fpm. After this, i need a Php.ini file. For this, i defined like this. 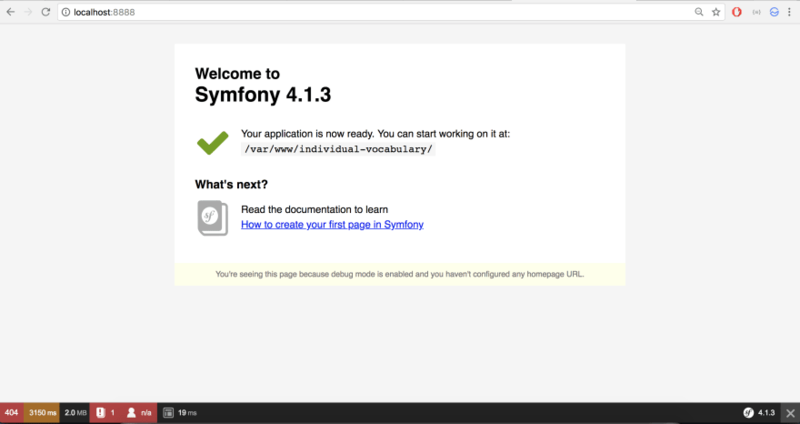 From now on, i can install Symfony 4. I run this command in project directory into as document. After installation, you will see .env file in application. I have changed DATABASE_URL environment variable as below. I have defined root for user, symf0ny for password and mysqlfor host. This host name is coming from docker-compose.yml file. As you remember, we have defined mysqlname for mysql service in this file. Right now, we can run this command. So, all images become a container. From now on, :8888port is listening to http request. If you open http://localhost:8888, it answers you.